On your PC, any file/folder you delete is shifted to the recycle bin to recover easily when needed. Recycle bin has been a lifesaver and helped us fix many of our mistakes. However, did you notice that you don’t have this facility on your Android phone? We delete data on our Android phone, and when we make a mistake only then, we realize that we needed a backup. It is crucial always to have a plan B on your side in case you accidentally delete an important file. Android itself might not give you this feature (at least not yet), but you can still get this feature using an Android recycle bin app. There are many free Android recycle bin apps available that will let you recover deleted data in case you delete any important data. If you are a bit clumsy fellow and worried that you might delete any important data accidentally on Android, then you should get an Android recycle bin app just to be safe. 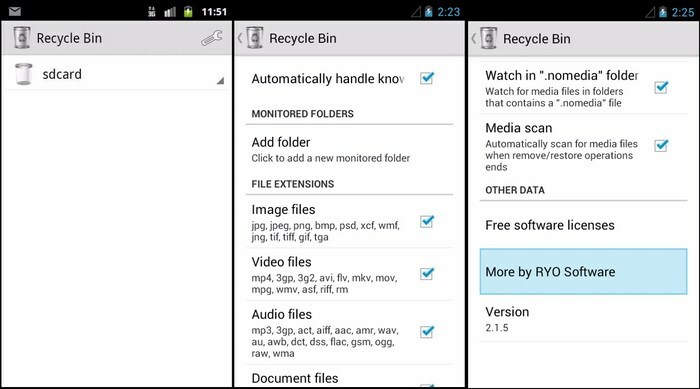 There are many options, but most of the recycle bin apps for Android are of poor quality or lacks features you may need. That is why we have handpicked few free Android recycle bin apps that will make sure you don’t make any mistake while deleting data. Below are three best Android recycle bin apps that will help you restore data in the case, you accidentally delete it. 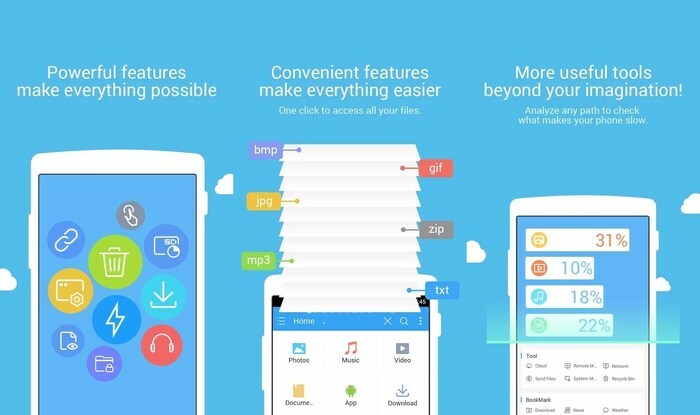 ES File Explorer is a fully featured Android file manager that will give you full control over your Android’s system files. It is ten times better than the default file explorer that comes with your Android phone, and it will let you compress files, save in cloud storage, remotely access files, edit files, transfer files between different devices, release RAM, clean phone and of course, Recycle Bin. It has a built-in Recycle Bin that will store all the files that you delete using ES File Explorer. All you have to do is enable Recycle Bin from the main menu and never worry about deleting important files/folders. Although you will be forced to use ES File Explorer to delete data, when you will start using it you will never like to go back to your old file explorer to delete data. The data in the Recycle Bin can be easily restored or permanently deleted as you like. Furthermore, you can also preview data inside the Recycle Bin to ensure you recover the one you need. The free version comes with ads, and I must say many ads may spoil your experience. If you are tired of ads, you can also go for Pro version that will cost you $2.99 and remove ads and get full control over the app’s look. 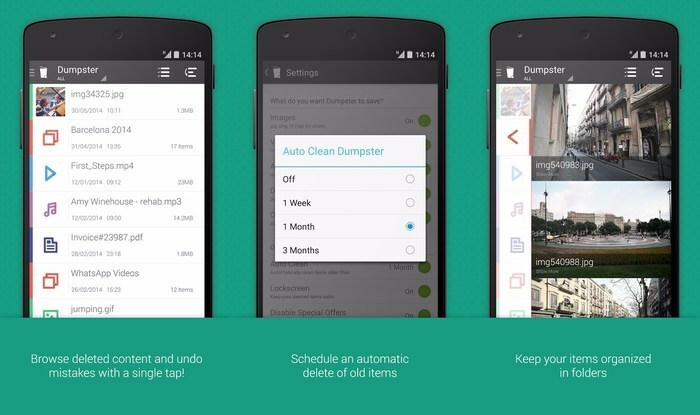 Recycle Bin app for Android adds a recycle bin in your phone where you can manually send delete files and folders. It adds a Recycle Bin option in the menu of your phone’s file explorer (most are supported). When you would like to delete a file, just select “Recycle Bin” from the options instead of “Delete”. The data will then be sent to Recycle Bin app where you can quickly restore or permanently delete when needed. If you have precious data stored on your Android phone, you can also mark it to be automatically moved to Recycle Bin when deleted. It is handy if you think you may delete valuable data instead of sending it to Recycle Bin. It also has support for moving multiple files to the Recycle Bin. Dumpster is a fully featured Android recycle bin similar to the one in our PC that works by default. All you have to do is install the Dumpster recycle bin app for Android, and it will start backing up all your deleted data automatically. It can save files like pdf, mp3, doc, png, Avi, mp4, jpg, Rar, ogg, Txt and many other common file types. Furthermore, it also comes with the ability to backup and restores deleted apps, but the app data will still be removed permanently. You can schedule Dumpster to remove the stored files after a particular time, making it perfect for saving space without making any mistakes. It also comes with a lock to protect all your stored deleted data to ensure no one could access it once you delete it. Overall, Dumpster is the best choice when you need an app that could automatically backup all your deleted data. Recycle Bin is a great feature, but unfortunately, Android doesn’t support it. Maybe it is due to the limited storage of a phone as compared to the storage capacity of a PC. Whatever the reason is, if you need a recycle bin on your Android phone, you can use any of the above mentioned Android recycle bin apps. I would recommend you to go for Dumpster as it offers automatic backup of deleted data from your phone’s file explorer. However, if you don’t like a burden on your phone’s resources, then Recycle Bin app is a good option as well. Next: How to Password Protect Folders and Files in Windows?